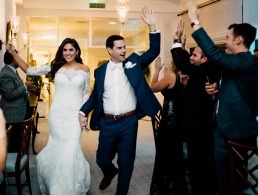 The Hillsboro Club is the perfect place to invite your friends and family for a special occasion. 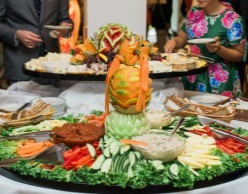 Whether it is a wedding, anniversary, birthday, retirement party or other occasion, you and your guests will receive exceptional quality and service. Our two dining rooms overlook the Atlantic Ocean and can accommodate up to 250 people. The private Van Dusen Deck and Killebrew-Frierson Garden are also perfect locations for hosting an intimate seaside ceremony or party. Sitting poolside, the Montgomery Lounge can accommodate 100 people. Additionally our 144 rooms and suites are perfect for your out-of-town guests. We are confident that you and your guests will appreciate and enjoy the natural beauty, security and privacy offered at the Hillsboro Club. This old Floridian-style retreat blends perfectly with its natural environment and offers a serene setting for your special occasion. 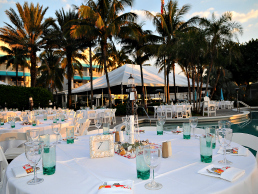 To speak with our Sales Director, Patty Lohr about your special event, please contact 954-941-2220 ext. 6140 or email, pattyl@hillsboroclub.org.